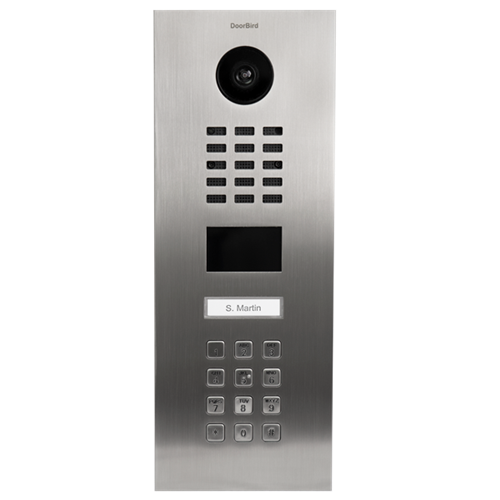 The DoorBird D2101KV is an IP video door intercom with a built in numeric keypad and RF reader for access control applications such as gates or entrances. The D2101KV allows the home or property owner to receive a push notification on the free iOs or Android DoorBird app when the call button is pressed or when motion is sensed. Tenants and homeowners can answer the door from anywhere in the world just as easily as if they were home.